Renowned for delivering innovative and real-world financial solutions, LOLC Finance PLC, Sri Lanka’s Non-Banking Financial Institution (NBFI) giant, has unveiled yet another cutting-edge financial service that provides a high degree of convenience and security to its customers. The ‘LOLC Finance Savings Cash Collection’ service offers the unparalleled convenience of depositing cash to the customer’s savings account without having to visit the branch. The LOLC Finance officer will visit the client at his/her doorstep to accept the cash and it will be credited instantly to the customer’s savings account through a POS (point-of-sale) machine. The accountholder will receive an instant SMS alert confirming the fund transfer. The customer can also check the Real Time fund transfer through the Real Time App. Aimed at promoting a savings culture, the ‘LOLC Finance Savings Cash Collection’ service is a convenient option that reduces the risk of carrying and keeping cash as well as not having to go through the hassle of travelling to a branch. The service is offered free of charge and is supported by a 24-hour call centre. Friendly and professional cash collection officers have been deployed to execute the service in an efficient manner. The ‘LOLC Finance Savings Cash Collection’ service will immensely benefit both the individual savings accountholder as well as business owners said, Director/CEO of LOLC Finance, Mr. Ashan Nissanka, elaborating on the new solution. “It will save their time spent on travelling to and from the branch. Our island-wide network of 141 locations will facilitate the Savings Cash Collection service which has been designed to nurture the habit of savings amongst our customers. LOLC Finance has always been at the forefront in offering innovative, customer friendly products and services, and I am confident that this service too will deliver optimum convenience and security to our customers”. LOLC Finance PLC is the largest Non-Banking Financial institute with the largest Fixed Deposit and Savings Deposit base among the Registered Finance Companies. It is the flagship finance company of the LOLC Group, that offers carefully tailored financial solutions to a diverse customer base ranging from grass root level entrepreneurs to multinational organisations. 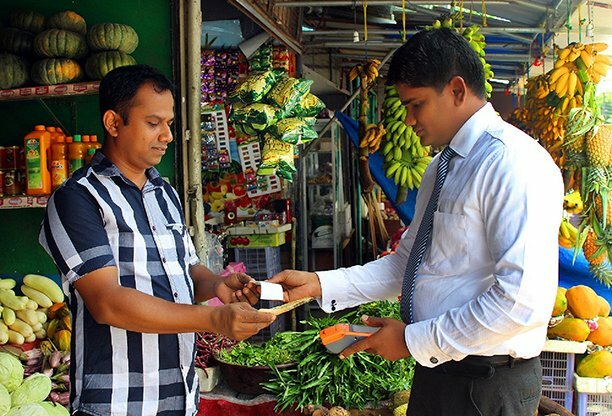 The portfolio of products and services of LOLC Finance includes the maintenance of Savings and Term Deposit Accounts in Sri Lankan Rupees and Foreign Currency, Inward Worker Remittance, Money Changing, Issue of Visa Debit Card, Islamic Financing, Auto and SME Finance, Working Capital and Foreign Currency business. LOLC Finance is rated (SL) A (Stable) by ICRA Lanka Limited and is licensed by the Monetary Board of the Central Bank of Sri Lanka.